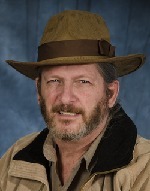 Randy McCharles is active in Calgary, Alberta’s writing community with a focus on speculative fiction, usually of the wickedly humorous variety, with short stories and novellas available from Edge SF&F Publishing, House of Anansi, and Reality Skimming Press. He is the recipient of several Aurora Awards (Canada’s most prestigious award for speculative fiction) and is short-listed in three categories for the upcoming 2014 Awards. In 2013, his short story Ghost-B-Gone Incorporated won the House of Anansi 7-day Ghost Story Contest. Randy’s first Tyche Books publication, Much Ado About Macbeth, will be available in August 2015. As writers, we love our literary children. We are also our own worst critics. We need to find a middle ground, an objective perspective. A peer review or critique groups can be of great value in this respect. When we write, we see the story in our heads so clearly we may forget to put it all down on paper. We need to learn how to doctor our work. Self-publishing is another reason. Learning to edit your work can help save costs. Theme will help you keep on track. Then ensued much discussion regarding the relative merits of David Brin’s The Postman and Suzanne Collins’s The Hunger Games, both books and movies. Many inexperienced writers choose the wrong place to start the story. Too soon and unimportant events won’t capture your reader’s attention. Too late and the reader won’t be engaged by your character, or you’ll find yourself explaining—telling—events that have just happened. That’s a tell-tale sign you’ve started too late. Aim for in media res, but don’t misunderstand the technique. Too much action can confuse the reader. Give the reader a reason to care. Try not to be “married to the line,” that is, if you think you have to start in a particular place because you’ve come up with the “perfect” line, that line may be one of the darlings you have to kill. You have to be willing to set it aside to find the true beginning of your novel. Other issues are genre-specific. In fantasy or science fiction, you may spend too much time on worldbuilding or on backstory. Sometimes chapter one is just a distraction and your real story starts in chapter two or even three. Some opening scenes are missing the hook, that story question that will propel the reader through the novel. New York Times Bestselling Authors (NYTBSAs) can get away with this, but not the first time author. You may also be missing scenes. This comes from writing “in your head” too much. Unnecessary scenes may be a sign of too much thinking on the page, on the other hand. We talk about wearing your writer’s hat and your editor’s hat, but what’s missing from the equation is the reader’s hat.